When my beautiful Mom was in late stages of Alzheimer’s Disease, I took her to a group sing-along at the Memory Care facility where she lived. My mother was no longer verbal at this stage, hadn’t spoken a word in more than three months. I am not even sure she knew who I was at that point, which at the time was breaking my heart, one cell at a time. I was used to bringing her to activities and not seeing any reaction to most things around her, although I did notice that music would sometimes cause her to gently tap her hand on her lap. Those days I hung onto to every sign that she was present in any way at all. My mother had been a vibrant, extroverted, lovely woman and I admit, it was very hard to imagine that this was the same person I had known for almost sixty years. So this particular day, at the sing-along, the pianist started playing the song “You Are My Sunshine”. This was a song my parents used to sing to each other as well as to my sister and me, throughout my early childhood. Lost in my own reverie of those better days, I initially did not notice that my Mom was trying to get up out of her wheelchair (she hadn’t walked in quite some time – one day she just seemed to forget how). I watched in utter amazement as she stood up, looked at me, and sang the entire song, looking into my eyes. I can tell you that there wasn’t a dry eye in the room. She died four months later, never uttering another word. I will never forget the miracle of that moment, seeing a part of my Mom that I had thought was long gone, hearing her familiar voice. I treasure that experience as it helps me keep a memory of who she was alive. There has been much conversation and research about using music therapy as a strategy to help people with dementia find enjoyment in a simple activity. The magic of music is familiar to all of us. One does not have to be suffering from dementia to have had some experience of the mood altering power of a melody, lyric, or sound of a particular instrument. Music is free, and for the taking. If you or someone you love or care for has dementia, you can use this gift of sound to help manage agitation, stimulate more positive reactions, or redirect difficult behavior. Music can actually facilitate cognitive function and coordinate motor movements, in some cases. This is due, in no small way, to the fact that listening to music requires very little mental processing. The suggestions listed below can impact the motor center of the brain that responds directly to auditory rhythmic cues. It is because these activities do not mandate cognitive function for success that a person can engage in music late in their disease. Dancing Is there a favorite local place where your loved one can put on their dancing shoes and have some fun bringing back some fond memories? If not memories, then just some plain old fun? If leaving the house is unrealistic, these days all it takes is iTunes, Pandora or some other music app and your dance party is ready. 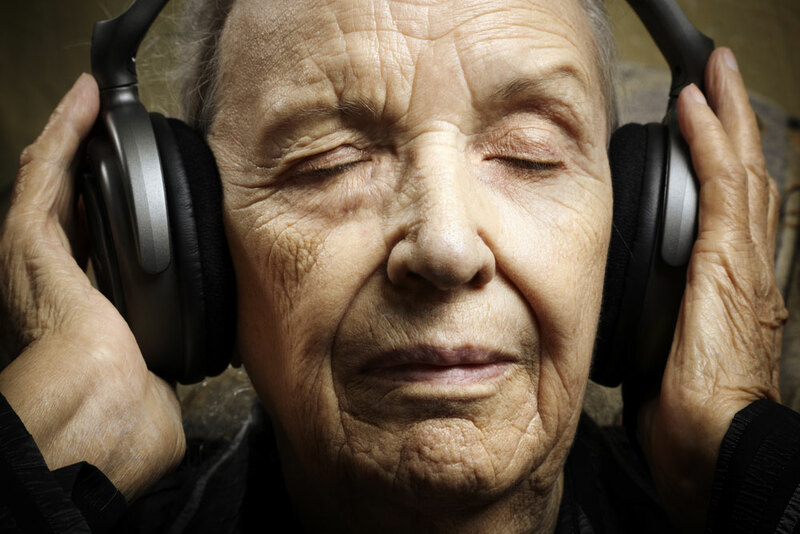 Listening to music from the past Many people with dementia still have long term memory intact. Do you know what kind of music they might have enjoyed in their younger years? Turn it on and you may see a miracle! Experimenting with different types of music. If you don’t know what music they prefer, try different types. Notice reactions — sometimes certain pitches or lyrics can be unsettling. Change it if anything seems amiss! Playing an Instrument If your senior played an instrument in the past, encourage them to try playing again. Or if possible, find a family member to play. If neither of those work, then try a recording of a long forgotten favorite instrument. Compiling a Music List Old favorites may help to bring back good memories. Create a playlist and play it often. People with short-term memory loss may not remember that you played this for them earlier in the day! Karaoke Use a Karaoke Player or some old song sheets to sing along with old favorites, if your senior is able. Or you can sing to them! Walk therapy Using music as your senior is walking may help to improve their balance and/or gait. Choose relaxing music Play a relaxing, familiar, non-rhythmic song to help reduce sundowning, or other behavior problems later in the day. Finding rhythm-based activities. Drumming or other rhythm based activities can help with motor skills or even encourage physical exercise. Keep your expectations of your loved one (and yourself!) low and experiment with different ways to use this extraordinary and magical tool. What a wonderful way to have fun and play together! Don’t ever underestimate what affect music may have on your loved one! Please call Senior Care Authority at (888) 854-3910 to reach a Senior Advisor in your area for a no-cost phone consultation. We have many resources to share with you. You can also find a local advisor on our website at www.seniorcare​authority.com.